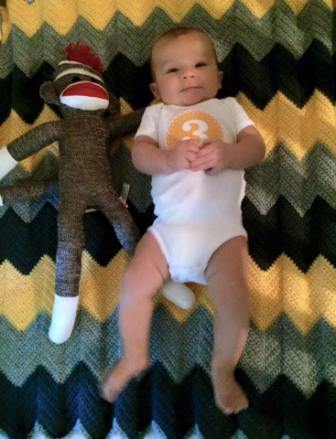 Dexter Ian is three months old today. His favorite things are kicking his legs furiously when he should be sleeping, incessantly babbling to Dad about his day when he should be sleeping, and being totally freaking exhausted but resisting sleep anyway. Dex smiles a lot but hasn’t quite broken out a laugh yet. Dexter is also the newest member of Team Watermark, and comes to work with Mommy two days a week. He’s not much help with editing but is great for morale. At least once a day, Matt and I look at him and wonder how the heck we made something so, so beautiful.